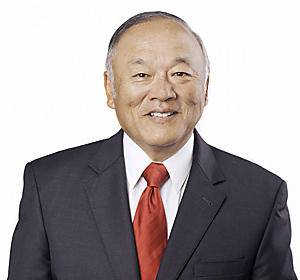 Ben Yamagata’s practice encompasses federal legislative and administrative issues in the area of energy, environment, and natural resources related matters. Ben represents clients before the United States Congress, the Departments of Energy and Interior, as well as the Office of Management and Budget, the Environmental Protection Agency, and the Council on Environmental Quality as well as other offices within the Office of the President, on both project-specific and programmatic issues that relate particularly to technology research, development, demonstration, and deployment relating to the use of coal and other fossil and renewable energy resources. Ben has advised clients on energy and environmental technology projects as well as provided counsel and representation in the structuring and advocacy for government programs such as the Department of Energy’s clean coal technology development programs and financial incentive programs (e.g., loan guarantees and clean coal tax credits) for energy projects. In addition to his work with Van Ness Feldman, Ben serves as the Executive Director of the Coal Utilization Research Council (CURC), a coalition of industry and educational institutions with an interest in promoting clean coal technology. Serves as Executive Director to the Coal Utilization Research Council, a national organization of coal producers, utilities, manufacturers, and research organizations, that advocates for development and demonstration of advanced clean coal technologies including carbon capture and sequestration. Successfully obtained more than $400 million in federal investment tax credits and counseled the successful transfer of a $400 milllion Department of Energy grant to a client constructing a project to gasify coal to electricity and agricultural fertilizers and use capture carbon dioxide for recovery of crude oil. Secured federal loan guarantees for several large-scale geothermal to electricity projects as well as a loan guarantee for a coal to chemical feedstocks project. Testified on numerous occasions as a expert witness on the status and development of clean coal technologies before committees in the U.S. House of Representatives and the U.S. Senate. Directed the successful submission of an application for a federal cooperative agreement of more than $300 million awarded to a major U.S. electric utility to capture and store carbon dioxide from one of the utility’s coal-burning power plants. Guided the development of industry comments submitted to federal agencies, including the U.S. Environmental Protection Agency, that addressed proposed regulations controlling various air emissions from the use of coal. Worked with several offices of the U.S. Senate and House of Representatives in the preparation of legislation to provide authorizations for a variety of grant and tax incentive programs to support clean coal technologies, including carbon capture and sequestration. Panelist, "Outlook for Next Generation Coal and Nuclear"